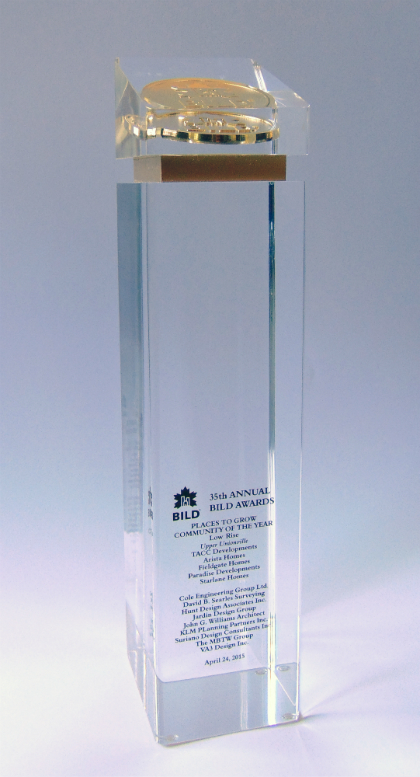 Upper Unionville Wins Best P2G Community of the Year at BILD AWARDS! 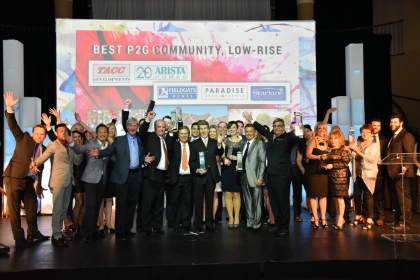 Fieldgate is very proud to announce that our sold out Markham community, Upper Unionville, won the Best P2G Community of the Year – Low-Rise Award at the BILD Awards last week! P2G stands for “Places to Grow,” and Upper Unionville was awarded in the low-rise category because of the expert planning and strategy that tied in environmental elements, heritage protection, and infrastructure needs in relation to the 2031 Places to Grow Vision. At Kennedy and 16th Ave., Upper Unionville is truly a complete community, with a legible grid road pattern, roundabouts, and parkettes meshing to create a transit- and pedestrian-friendly streetscape. The community also features a wide array of housing styles, including singles, semis, and townhomes, with many different designs, making for a vibrant atmosphere. The Upper Unionville team also retained and enhanced many heritage aspects of the community, including the Beckett heritage farm house and the Eckhardt Log House, which is the oldest house in York Region. Parks and green spaces were created and preserved, including The Berczy Square, The Heritage Park, and the Oak Tree Parkette. The amount of outdoor spaces and pedestrian-friendly design promotes an active and healthy lifestyle, accommodating future growth. A big thanks goes out to the land development team and the other builders who worked tirelessly on Upper Unionville, and a shout out goes out to all the other organizations involved, including VA3 Design Inc., Cole Engineering Group Ltd., David B. Searles Surveying, Hunt Design Associates Inc., Jardin Design Group, John G Williams Architects, KLM Planning Partners Inc., Suriano Design Consultants Inc., and The MBTW Group. For more info on our current communities, click here!